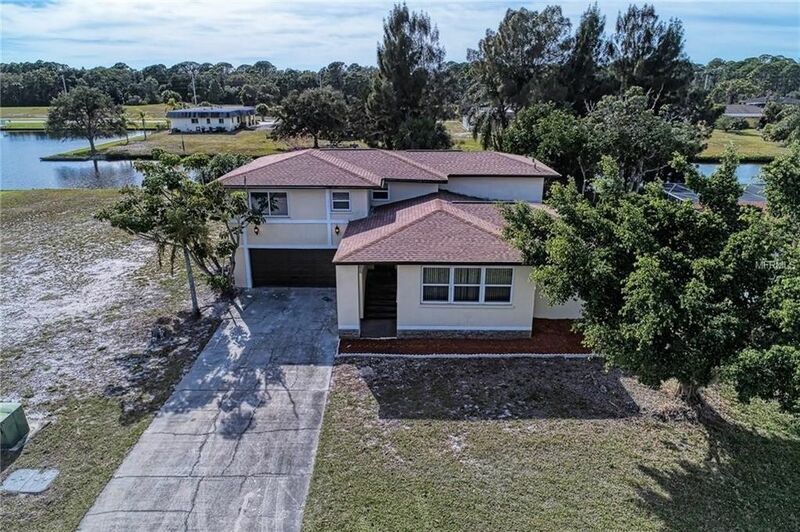 Fully renovated turnkey home located in the gorgeous Oakland Hills section of Rotonda West. This unique home features a two story split floor plan with 4 bedrooms and 3 bathrooms (2, 300 sq. ft.) Situated on a spacious lot overlooking the canal. The large pool and lanai that feature a convenient separate bathroom are sure to please everyone. Additional features to this home also include a full block structure, upgraded Alaskan granite, a special filtering air conditioning system, 42 cabinetry, a new roof, and walking range of both the dock and the clubhouse within this golfing community. This great community includes parks, playgrounds, and tennis courts. The beautiful community of Oakland Hills in Southwest Florida will make your dream of a waterfront home come true. Directions: From 776 turn left on Gulfstream BLVD, turn left on Sunnybrook, turn right on Rotonda Circle.